Halo 5: Guardians is just a few days away from release, and if you keep your eye on Co-Optimus we'll have our full review coming Monday, October 26th right before release. But thanks to the fine folks over at Mega Bloks we can help hype you up a few days early with a giveaway of two sets of Halo themed items with included Halo 5: Guardians Requisition packs for the game. So what's up for grabs? We've got the Gausshog version of the Warthog (226 Pieces) and the Scorpion Sting tank (616 Pieces). Both sets include Spartans from both Osiris Team and Blue Team. The Gausshog has the Master Chief while the Scorpion Sting has Buck. There's also a handful of "weapons" included in each and a code for free Requisition Packs in Halo 5: Guardians which unlock weapons, bonus XP, unique skins, and more. To enter to win simply click the link below. You can enter once per day until Halo 5 is released on October 27th. And be on the lookout this weekend on our Twitch.TV channel for some Halo 5 Co-Op Streaming goodness! 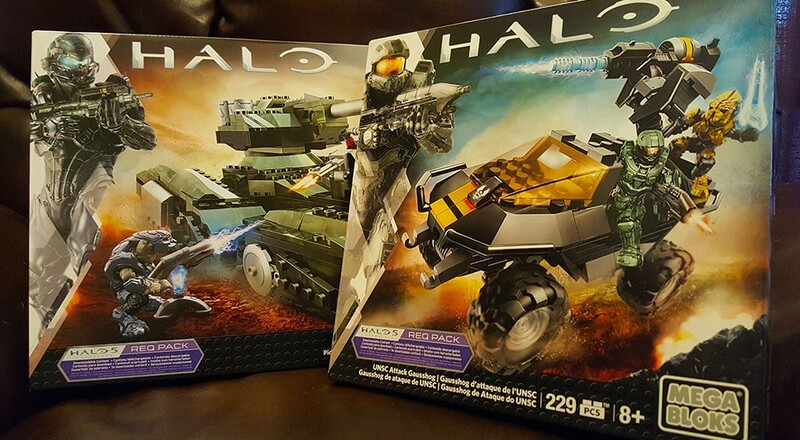 Be sure to check out all of the Halo themed Mega Bloks sets at the official site. Page created in 0.2715 seconds.